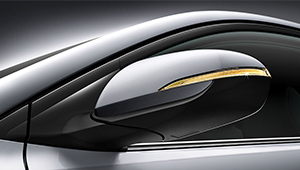 Our Fluidic Sculpture design approach has been globally acclaimed and awarded. 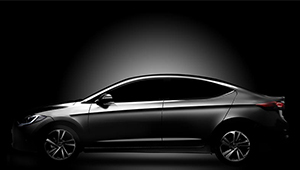 It incorporates the energy and movement found in nature's contours into the silhouette of every Hyundai vehicle. By using natural forms, we've actually made our vehicles lighter, more aerodynamic, more energy efficient. It's the least we can do to pay Mother Nature back for giving us such elegant design inspiration. New air intakes tucked into the front corners help to smooth airflow around the tyres to further minimise turbulence and wind resistance, further improving fuel efficiency. 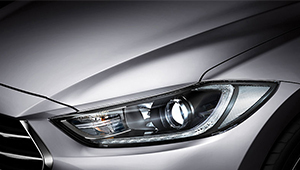 As dusk sets in, or when you enter a dark area such as a car park or tunnel, the headlights automatically turn on. Daylight running lights switch on automatically when the engine is started and shine forward to make the vehicle more visible during the day. 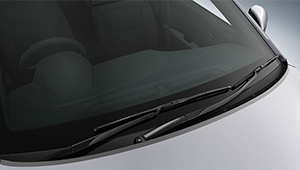 As soon as moisture hits the windscreen, the wipers are activated. No need to take your hands off the wheel or your eyes off the road. Only available for Elantra Elite. 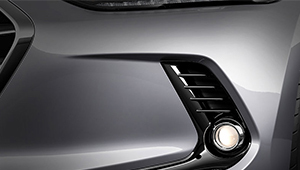 In foggy conditions, projector-beam fog lights (standard across all models) help you maintain visibility to other vehicles and cut through the murky conditions. 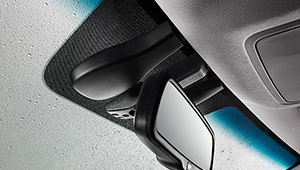 The fold-in electric side mirrors help keep you ding-free, while LED side repeaters on them help keep you safer by clearly alerting those around you of your intention to turn or change lanes. Only available on Elite variants. Hyundai Elantra is equipped with alloy wheels featuring flangeless designs for a stronger, sturdier appearance and a neat, clean finish. 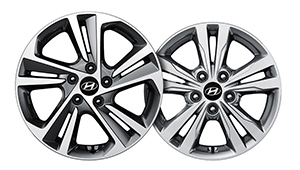 17" design shown on the left is only available for Elantra Elite, while the 16" design on the right is only available for Elantra Active. Stretch out and enjoy the spacious, well-appointed interior. Everything about the new Elantra has been refined with appointments and finishes often only seen in the luxury class. All-New Elantra also introduces a more ergonomically functional, comfortable interior environment. 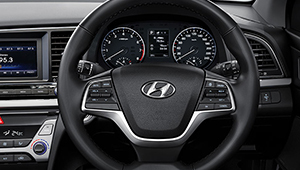 Controls, such as audio and cruise control, are ergonomically positioned as steering wheel mounted switches, so you can adjust various functions while keeping your hands firmly on the wheel. 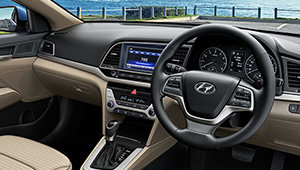 The dual zone climate control system on the Elantra Elite allows the driver and front passenger to set independent climate zones, ensuring utmost comfort for all occupants. In the Elantra Elite, an automatic windscreen defog function automatically adjusts the climate control system to clear the windscreen as soon as the first traces of condensation is detected. 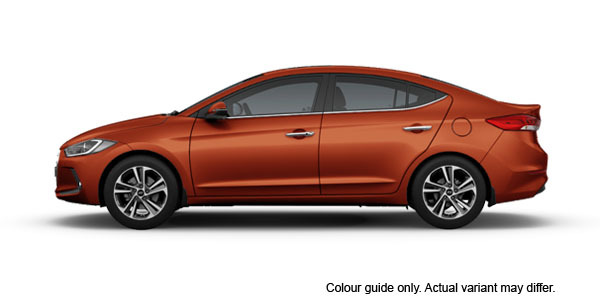 The split-fold rear seats make it easy to maximise Elantra's superior interior space. Fold one seat down for long loads or to gain a little extra space. Fold both seats when you need maximum storage. The All-New Elantra is one of the first small sedans with Apple CarPlay^ as standard. Do all the things you'd do with your iPhone while driving. 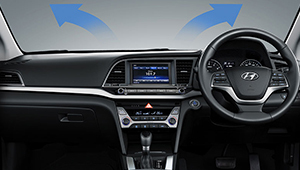 Access your apps on the touchscreen display, or ask Siri to assist. 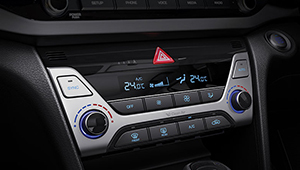 Get directions, calls, and music all in a way that lets you stay focused on the road. 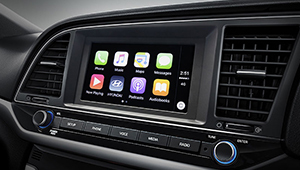 ^Apple CarPlay requires iPhone 5 or subsequent model (lightning cable) in order to operate. Apple and iPhone are registered trademarks of Apple Inc. 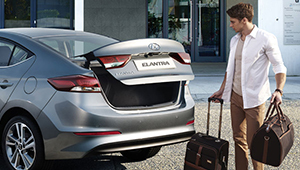 The Smart Boot solves the problem of opening the boot when your hands are full. It's smart. So it opens itself when you stand behind the vehicle. 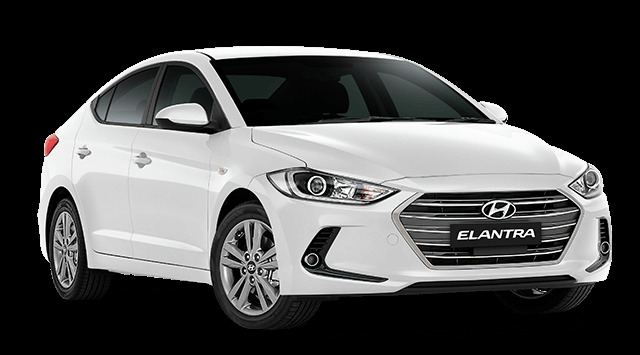 Only available for Elantra Elite. 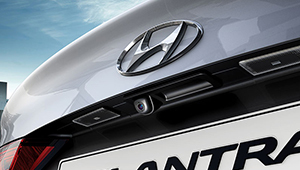 A rear view camera is standard on all models, making it easier to park in tight spots and helping you reverse safely. 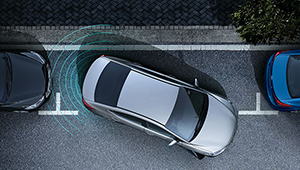 The rear parking assist system provides audible feedback, allowing drivers to identify any obstacles behind the vehicle. 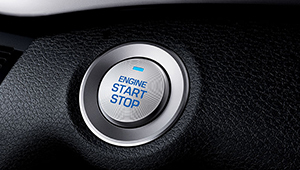 With the proximity smart key you can unlock and start your All-New Elantra without taking the key from your pocket. Great for fast entry in the rain! Available for Elantra Elite only. 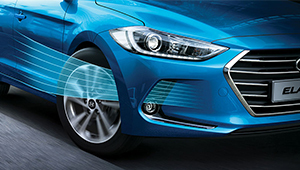 While driving the Elantra Elite through low ambient light conditions, if the sensor in the electro-chromatic interior mirror detects a bright light behind the vehicle the mirror is automatically dimmed.